Jomolhari Trek is one the most popular treks aroud Mt. Jomolhari in Bhutan. Jomolhari trek leads you through the antique villages, alpine grazing meadows, livestock farms and the wonderful prosperity in flora that helps you to experience the Bhutanese nature and culture. Even George Mallory has described it about the Jomolhari Trek as an astounding and magnificent trip, crossing the 4877m Bhontela pass. Jomolhari trek begins after you land at Paro airstrip. From the very beginning of the trek, you get enclosed with the Dzongs, monasteries and temples around Paro. They include the National Museum near Paro, Tiger's Nest (the Taktshang Monastery) and others. Then the trek goes through the pine woods with Buddhist prayer flags fluttering all over the way. 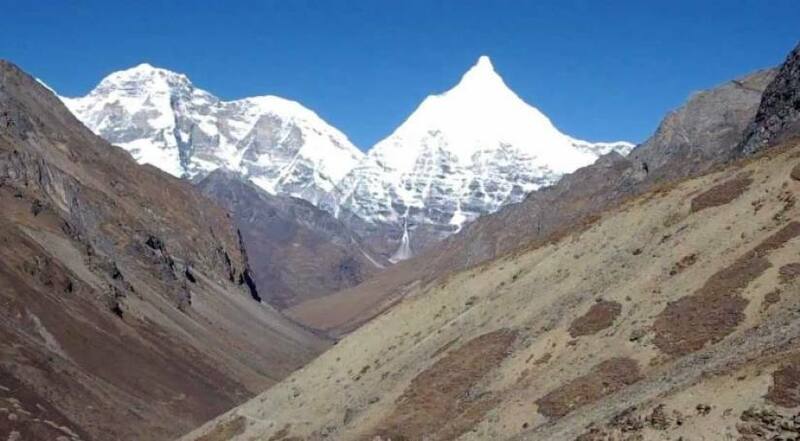 During the trek, you can enjoy the panorama of Jichu Drake and Mt. Jomolhari. Then you retrace through Shodu, Barshong, Dolam Kencho and finally to Thimpu. Again, it wonderful to explore the cultural heritages in Thimpu and drive further to Paro to fly to your further destination. The best seasons of the Jomolhari Trek are Spring and Autumn. Himalayan Joy Adventure organizes Jomolhari Trek with a customized itinerary. Please, feel free to contact us for more details. After breakfast you will hike to Taktsang monastery (known as Tiger’s nest monastery). The hike is all the way ascending through pine forests. The monastery clings to a huge stonework cliff 800 meters from the Paro valley. It is believed that the great saint Padmasambhava came in the 7th century on a flying and meditated in a cave for 3 months. The demons were subdued who were trying to stop the spread of Buddhism and converted the Paro valley into Buddhism. Stroll back to your hotel. Overnight in Hotel. 05 Days TREK TO JANGOTHANG. Explore the surrounding areas like Tshophu lake, visit Yakherders or simply relax. Overnight in Tent. The trail follows the stream for half an hour and crosses the bridge to the right side. Ascending up to the ridge and enjoy stunning views of Chomolhari, Jichu Drake and Tshrim Khang mountains. Then you will walk through the wide open valley while you can see blue sheep. The climbing up to the Nyele la pass 4700 meters where the view is breathtaking. After the pass you will descend through the valley with beautiful views on all side. Nearing the camp you will see the Lingshi Dzong perched ont op of a hill with commanding view of the valley. Overnight in Tent. The trail follows the Thimchu River descending through the forest of rhododendron, Juniper and pines. The view of the cliff facing rocks and waterfalls are stunning. The trail gradually ascends to the ruins of Barshong Dzong. You will stroll around the market and do some sightseeing and shopping in Thimphu and drive 2 hours to Paro. After check into your hotel you will do sightseeing in Paro.